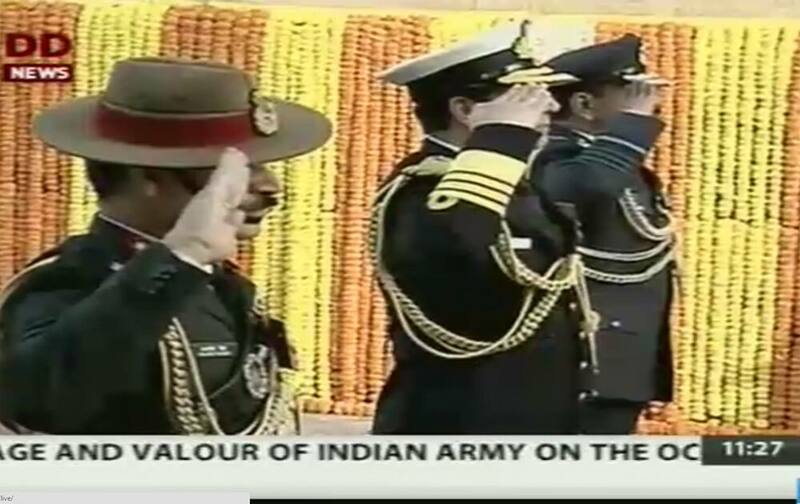 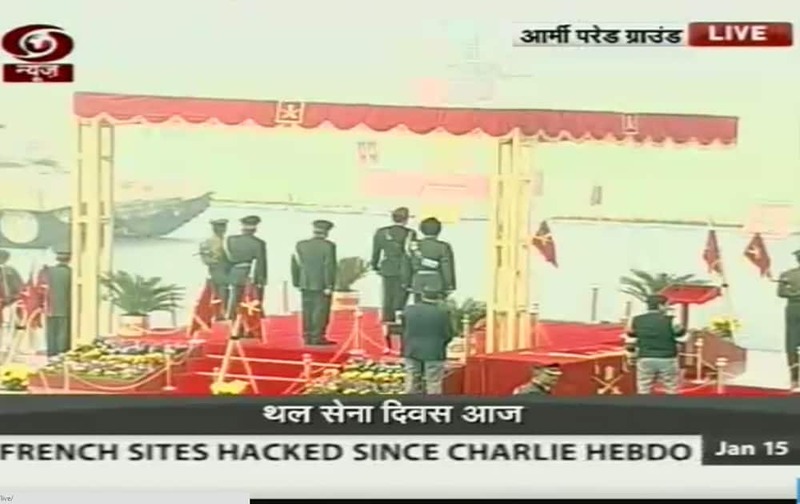 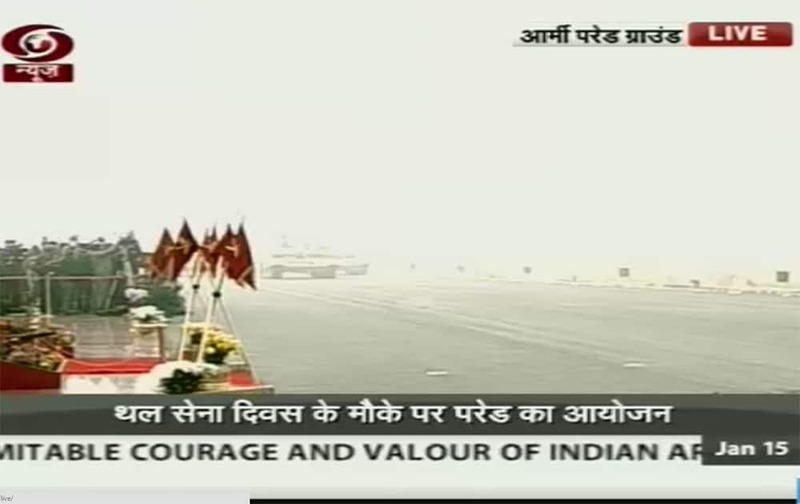 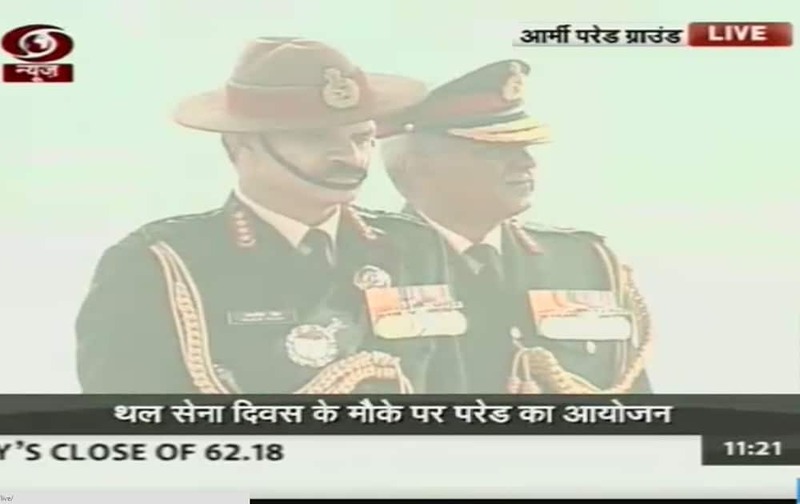 Army Chief General Dalbir Singh Suhag during the Army Day parade in New Delhi. 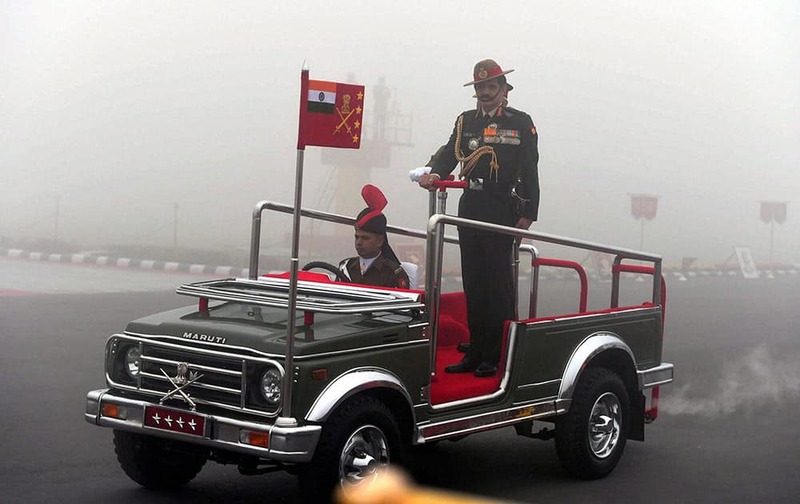 Army Chief General Dalbir Singh Suhag with his wife Namita Suhag during the Army Day parade in New Delhi. 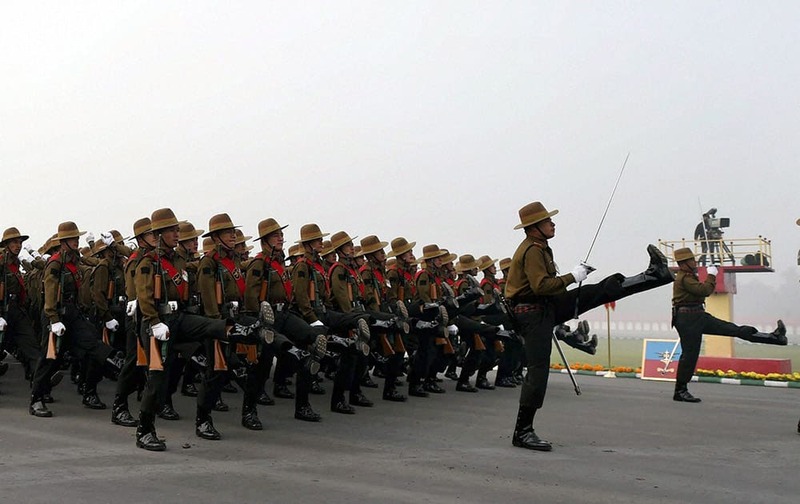 Army Jawans march during the Army Day parade at Delhi Cantt in New Delhi.